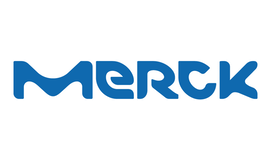 Merck is a leading science and technology company in healthcare, life science and performance materials. Around 40,000 employees work to develop technologies that improve and enhance life – from biopharmaceutical therapies to treatment for cancer or multiple sclerosis, cutting-edge systems for scientific research and production, to liquid crystals for smartphones and LCD televisions. Merck is the oldest pharmaceutical and chemical company in the world. Due to increasing fraudulent activities related to pharmaceutical products, which represent a growing threat to public health and safety, multiple countries authorities defined new traceability regulations to strengthen control over the pharmaceutical industry supply chain. To continue drug production, companies need to enforce these new regulations by uniquely identifying each product. To face this challenge Merck launched the program Track-IT. Its objective was to set up a global, harmonised, reliable and cost-effective Track and Trace solution for more than 80 packaging lines spread over nine packaging sites and interconnected with more than 60 contract manufacturing organisations. With this project Merck sought to comply with the diversity of regulation requirements of all of the countries where its products are distributed. Manage complex project, control deliveries, implement in a validated context (GxP). Integrate future solution inside customer's heterogeneous information system. Organise and execute the iterative rollouts per packaging site and regulated market. Support the handover to the business and quality departments of this compliance system. Merck put in place a global solution comprising four main layers: the packaging equipment; the packaging line software; the packaging site management software; and the corporate level solution. The packaging equipment consists of multiple elements deployed on each production line: labelling printers and cameras. These items were deployed at all hierarchical packaging levels: item; case; and pallet. The objective of this layer was to print and verify each serialised unit whatever its composition level. To help packaging operators during we installed a software package at the level of the packaging line. This component was charged with gathering the item identifiers from the packaging site, managing and configuring line equipment used during the packing process and, lastly, verifying and synchronising the serial numbers with the packaging site at production batch closure. The packaging site management software is the component in charge of preparing the data that is needed to operate production on the packaging line. It also implements communication channels with the corporate components for receiving the production master data and serial numbers and releasing the produced batches after quality department approval. The corporate level solution involves three elements. First, a custom solution (based on Oracle APEX) manages the Serial Numbers by market. Second, the SAP ERP solution maintains the production master data and the production orders which link the delivery number and shipment notice to the released batches. Third, the central events repository (SAP OER) stores all of the data after production. This last component is also responsible for generating interface messages and reporting for the market authorities. SmartWave was responsible for developing the serial numbers management solution, which guarantees serial number uniqueness per market depending on country legislation and which delivers data with a very high performance. We interfaced this component with the packaging site level systems. In addition, we were involved in the overall design of this multilayer solution, the integration between system components, the project management, and the coordination between the different project streams. The TrackIT solution ensures the traceability of all drugs which fall under the different international regulations by associating a unique serial number to each packed item and its hierarchical container. A validated system of track and trace instance was installed into eeach production site where it was needed. This allowed preparing the packaging lots, producing drugs with end-to-end traceability, consolidating the serialisation events into a corporate global repository and providing reports respecting the official specifications of each market's health authorities. The five-year program has an initial phase to design and build up one global solution that can fit and scale for all configurations related to the different regulations and other packaging/market specificities. This solution is validated against Pharma GxP regulations as it is handling confidential data, such as serial numbers, that will be spread over the market and eventually checked by the patient himself against a governmental database. Introducing these integrated systems creates a computed chain link all along the supply chain between stakeholders, business departments and partners, including regulatory affairs, supply network operations, packaging, product quality, third-party logistics, distribution and pharmacists. Last, but not least, the data can even been verified by the patient using a mobile device. An ever-growing production volume combined with an increasing number of regulations make it necessary for companies to outsource a part of their production to external packaging providers (CMO). This solution provides the serial numbers which must be used by the manufacturers during their production, then captures the serialised events per batch in a unified way. This subsequently permits Merck to provide Health Authorities with the reporting they require. Introducing an intermediate Cloud Computing platform, Tracelink, made this possible.